Thank you for making a pledge to Lend A Hand To 3D Print A Hand. We will notify you by email when the fundraiser is launched! to endorse Sarah Boisvert's fundraiser for FabLab Hub. What happens when you mix 3D Printing with Crowdsourcing to help people who need prosthetic hands? You change people's lives in more ways than one! Over 5,000 volunteers around the world have 3D Printed and assembled 1,500 e-Nable hand designs giving them away at no cost to the recipient. 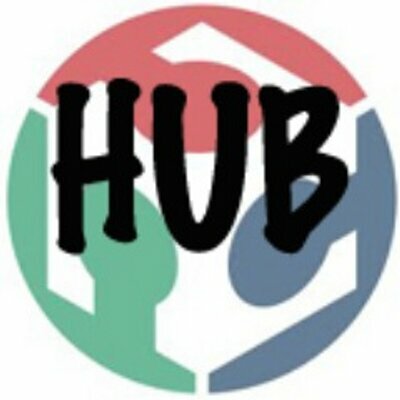 Fab Lab Hub wants to help current volunteers in the Boston area with 3D Printers get more material and assembly kits and also purchase additional 3D Printers to expand our volunteers. A team in the Boston area, especially students from Cambridge colleges, would work on creating a new e-Nable node at the non-profit Fab Lab Hub space at Fab Lab Roxbury in the Roxbury Innovation Center [www.roxburyinnovationcenter.org]. Not only do the hands and arms serve a utilitarian purpose of gaining the use of a lost limb, there are many more benefits for the recipients. Now instead of having an ugly prosthesis, there are beautiful hot pink hands as well as Super Hero hands like the one Robert Downey, Jr. presented to a young boy in Florida. Our hands can make a kid feel cool, rather than physically challenged. •	new stories every day of parents working with their children to make a hand together. For a small contribution, businesses will reward you with cool, fun products and services. Please join us in “lending a helping hand”! I think this is an amazing cause! Good luck with your efforts!!! I think this is a great project worth checking out! I fully support @enablethefuture! Glad to see they are "Giving the World a Helping Hand" through their 3D printed prosthetics! This is the best cause in the galaxy! Use technology to dramatically improve people's lives. Umm... making "Hands," affordably (or free), for Kids that need them... seriously, what is not to love about that? As a professor who teaches studies on Special Needs Requirements - how could I not support this? Also, I just learned the lady who is doing this invented Lasik? Or, something? Too crazy cool. Kids needs hands to make art. Fantastic application of 3D printing! Have seen and experienced the end results of this merging of accessible technology and kids in the real world. The possibilities are really exciting and paradigm shifting. This is an amazing cause! I think this cause is awesome!!!! Endorse Sarah Boisvert's fundraiser for FabLab Hub. Log In or Create An Account to endorse Sarah Boisvert's fundraiser for FabLab Hub. Fab Lab Hub is a member of the international Fab Lab Network that has grown out of the MIT Center for Bits and Atoms course How to Make (almost) Anything. These digital fabrication laboratories are centers where literally anyone can use tools such as 3D Printers, laser cutters, CNC milling machines, CAD design software, vinyl cutters and microelectronics to bring their ideas to life. Fabbers make everything from holiday ornaments to wearable electronics to robots and much, much more. Fab Lab Hub helps start new Fab Labs by providing resources, knowledge and sustainability support. Fab Lab Hub is currently helping open facilities in the Boston area, with particular emphasis on collaboration with the worldwide e-Nable project. This cool group of selfless volunteers who have access to 3D Printers crowdsource prosthetic hands for kids and adults in need at no charge. New centers will be located in Roxbury, Cambridge, Watertown and Dorchester and provide 3D Printers for local volunteers to participate in e-Nable. Pledge to "Lend A Hand To 3D Print A Hand"
Donate to "Lend A Hand To 3D Print A Hand"